I arrived at Iluka around lunch time and it was raining heavily. I checked into the cabin – too wet for camping – and drifted off to sleep thinking of where to fish that evening. 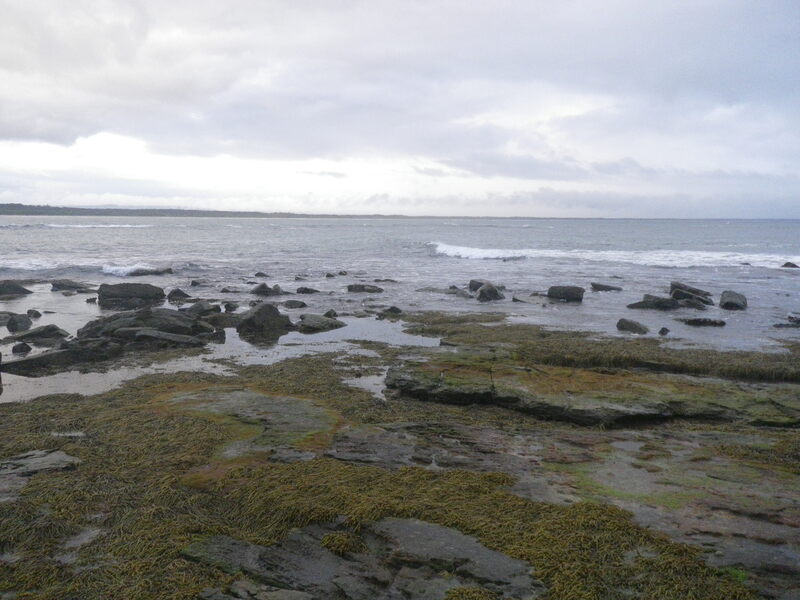 A few hours later I wandered out on to the rocky promontory at the southern corner of Shark Bay. This is a good spot to spin for Tailor in the cooler months, using metal slugs. But at this time of year they can be hard to find. The rain had flattened out the sea and I decided to fish with my light spin rod again – using lighter jig heads and soft plastics lures. The rain just kept coming and I fished for an hour or so, with little success and plenty of gear lost to the rocks. About 7.00 pm, as it started to get dark, I switched from a 1/4 oz to a 1/6th oz jighead and rigged a GULP 4″ Pearl Watermelon minnow soft plastic. I cast out into the whitewash and bang, a fish grabbed it. There was not much weight to the fish but it used the swell to try to bury its head in the rocks. I pulled it out and wound it in. It was a 28cm Bream but had felt much bigger. I let it go and on the next cast scored another. I caught 3 more over the next half hour, all around the same size and all on the same soft plastic. It was now dark and wet and I was actually feeling cold for the first time in a few months, so I headed home for a hot shower. 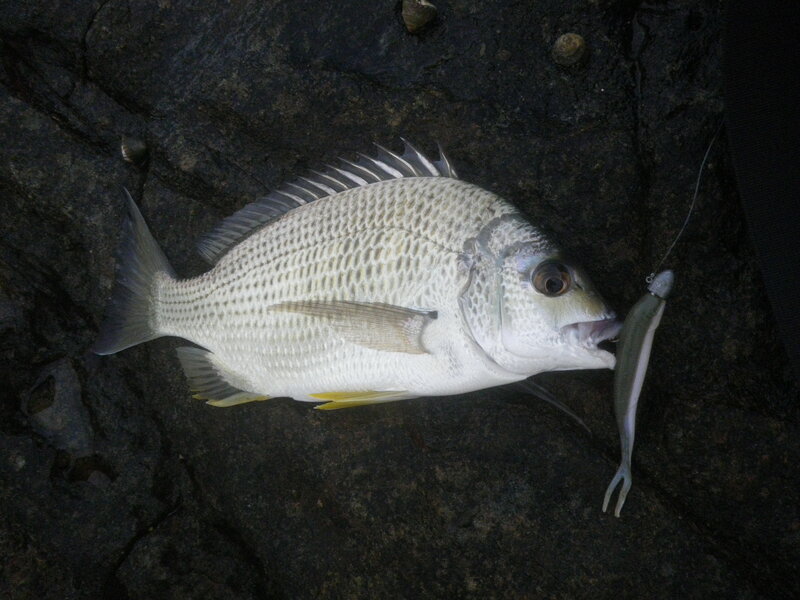 This entry was posted in Fishing Reports, Iluka and tagged Australia, Bream, bream on soft plastics, fishing in Iluka, fishing in Northern New South Wales, fishing soft plastics, GULP, land based, lure fishing, Northern New South Wales, rock fishing, saltwater fishing, saltwater fishing NSW, Shark Bay. Bookmark the permalink. The Bribie fishing will only get better and better as the water cools and Moreton bay settles down. Get out there!